Still, nothing seems sacred for this family especially when the almighty dollar is dangled. With that said, it looks like $500,000 is the latest price for Teresa to air their dirty laundry. Teresa has landed her own RHONJ spinoff show that will center on the deportation of her husband Joe. It is hard to imagine that they would put their kids through this. With that said, according to Reality Blurb, it’s a go. “Yes, it sounds extremely insane,” which is how Reality Blurb presents this news. Joe Giudice is currently in prison. He is currently serving a 41-month sentence but once released, another journey begins. Teresa will collect half a million dollars for this new circus. Apparently, she’s agreed to put the family on display around daddy getting kicked out of the country. Back in March, an immigration judge lowered the boom. 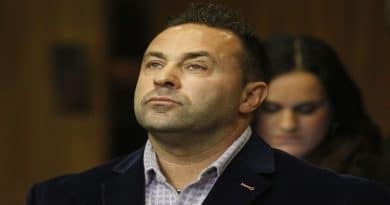 Joe Giudice was ordered removed from the US when he finished his current prison sentence. The patriarch of the Giudice family is serving time for bank and wire fraud. Fans can remember how the couple both received jail time in their court case. But for the sake of the minor children, the judge awarded them the privilege of only one parent in jail at a time. Teresa and Girls Wave Goodbye to Dad? She also needs the money as Joe appeals the deportation decision. 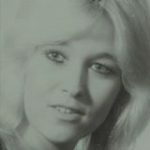 The source said, “Teresa will do anything for the money.” But adds that she never stops thinking about her girls. This spinoff also gives her a half a million dollars that will help her send the kids to college. Joe is due to be released in March of 2019. Due to prison overcrowding, he could get out sooner. That would only mean his deportation back to Italy would happen even sooner. The couple has four girls, Gia Giudice, Gabriella Giudice, Audriana Giudice, Milania Giudice. They range from age 8 years-old to 17. The girls are old enough to understand what is going on. They must have endured some ridicule from schoolmates about both parents being in jail. Kids can be awfully cruel. Now a new chapter in the Giudice family journey. Will Teresa and her girls be waving goodbye to dad as he’s carted off by immigration? Either way, they will be a half a million dollars richer.